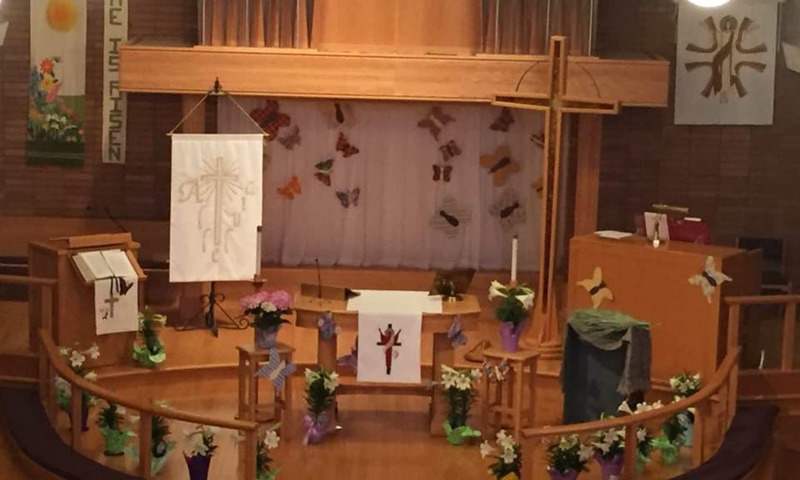 Patricia Hughes has served as pastor at Holy Cross Lutheran Church in Salem Oregon, since January 5, 2014. Patricia is a graduate of Pacific Lutheran Theological Seminary in Berkeley, California, part of the General Theological Union. After a career in Accounting, and Domestic Violence education and response, Patricia returned to school, and graduated December 2005. Ordained July 22, 2006, Patricia has served churches in California, and Oregon. Patricia has also specialized in pastoral care through a residency in Clinical Pastoral Education- receiving a Board Certified Chaplain designation from the Association of Professional Chaplains. Patricia is married to Rev. Dr. Joseph W Hughes, III, who is an ordained pastor in the Lutheran Church Missouri Synod, and serves Peace Lutheran in West Salem, as pastor. Patricia has two children, and one grandchild, Maddie. Joe has two children, and two grandchildren. They enjoy visiting wineries, walking the dog, and are about to become people who go camping with a trailer! Patricia enjoys children’s sermons, and teaching confirmation best of all.